When’s the Next Tesco Avios Offer? When I began collecting Avios points some 10 years ago, the two easiest methods of quickly accumulating points was through either the now defunct Lloyds Avios credit card or making Tesco Clubcard Avios points transfers. With the option to still convert Tesco points to Avios we thought we’d see whether it still makes as much sense as it once did and whether there are better uses for your Tesco Clubcard points! 10 years ago, Tesco were showering both existing customers and new customers with Clubcard points. With the UK supermarket environment becoming ever more competitive, falling profit margins have likely resulted in Tesco cutting some of the excellent historic Clubcard earning opportunities. These opportunities were made even better by transfer partners (such as British Airways Avios) offering the likes of the Tesco Clubcard Avios bonus to persuade customers to convert Clubcard points to frequent-flyer air miles. Besides the sheer number of Clubcard earning possibilities, has much else changed? No, not really. British Airways continue to provide Tesco Avios bonus offers, the most recent of which was in October and November last year. You will also still earn 600 Avios points for every £2.50 of Clubcard vouchers. With a likely value of your Avios points somewhere in the region of 1p for every point (read how we calculate this here) you’d essentially be achieving £6 of value for £2.50 of vouchers or 2.4p (2.4 points) for every Clubcard point. With the ability to earn 1 Clubcard point (2.4 Avios) for every £1 spent, that’s still an exceptional earnings rate when compared with say the British Airways American Express card which offers 1 Avios for every £1 spent. Don’t forget you could also use your BA Amex when shopping in Tesco to increase the overall earning rate to 3.4 Avios for every £1 spent at Tesco! With no current Tesco Clubcard Avios bonus on offer, we thought we’d take a look at the most recent bonus to see if it’s still worth holding out to transfer. The most recent Avios Clubcard bonus ran between the 2nd October and 15th November 2018 and offered 1,000 bonus Avios points when you transferred at least £5 of Clubcard vouchers in one transaction. This meant that in addition to the 1,200 Avios as part of a standard Tesco Clubcard air miles transaction you’d receive a total of 2,200 Avios resulting in a redemption rate of 4.4 Avios for every Clubcard point. Whilst this is an exceptional rate, with a limit of just one transaction per British Airways Executive Club account I’m afraid to say it’s never going to be enough for that dream Avios First Class ticket. One of my current favourites is using Tesco Clubcard points for Uber credit which offers exceptional value. With a current transfer rate of 3 times, you’ll receive 3p of Uber credit for every 1 Clubcard point. This compares to the notional 2.4p when converting Tesco Clubcard points to Avios. 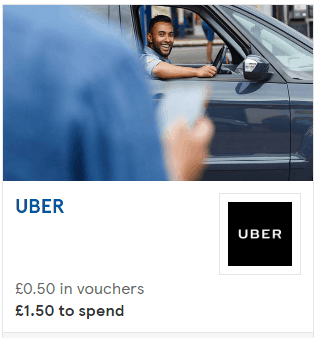 If you don’t currently have an Uber account, you can click here for £3 of free credit or alternatively download the app and use the code – P3OCV. We’ll also receive a small sum of money to help offset some of the costs of the site so a massive thanks if you choose to use the link :). Other travel options would include redeeming your Clubcard points for train tickets through redspottedhanky. This again provides a rate of 3 times your Clubcard points value so is definitely worth considering if you regularly travel by train. You can also use Tesco Clubcard points with various hotel schemes at 3 times face value. Possible hotel brands include Best Western, Hilton and Novotel however you are generally restricted to using these for weekend stays, paying full flexible prices which results in this option providing poor value for money when compared to either Uber or redspottedhanky. Unfortunately, with Monarch going under some years ago, using your Tesco Clubcard for flights is only available via the conversion of Tesco points to Avios. Why Use Tesco Clubcard for Flights? With both Uber and redspottedhanky offering better value than undertaking a Tesco Clubcard Avios points transfer when would it make sense to convert Clubcard points to Avios? As regular readers will know, we’re a large fan of the companion voucher offered with both the free BA Amex (reviewed here) and premium version (reviewed here) which, when used for two people, has the effect of doubling your Avios points. If you’re planning on using the companion voucher in the short to medium term then you’ll be increasing the value of the Tesco Avios points transfer from 2.4p per Clubcard point to 4.8p! Read our recent article on the British Airways companion voucher to find out why we believe that this is the most generous credit card benefit currently available in the UK market. 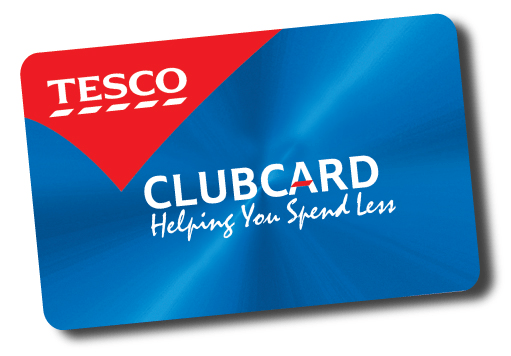 When do you think the next Tesco Clubcard British Airways bonus will be offered? Whilst Tesco Clubcard Avios bonus offers occur a couple of times a year, it’s very difficult to put your finger on exactly when they’ll be or indeed what form they’ll take. With two Tesco Avios offers last year (July and November) I suspect we’ve still got a couple of months until we see the next British Airways Avios Tesco bonus. One final point. Historically you could only earn points once they had been converted from Clubcard points to vouchers. There is now a new option where you can request your pending Clubcard points whenever you like. As such if there is an upcoming Tesco Avios offer you’ll no longer miss out on transferring your most recently earned Clubcard points. 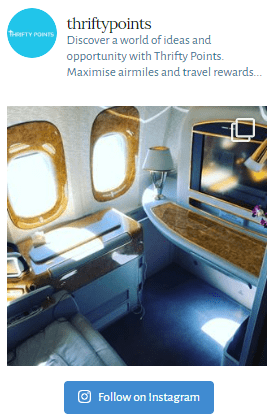 How to accumulate Avios points quickly? As I mentioned earlier, 10 years ago the best way to accumulate Avios points was through the Lloyds credit card, coupled with converting Avios points. With the Lloyds card closing to new customers, it’s been replaced by the market-leading American Express Gold card. The card is free for the first year. At the end of the first year we’d recommend most people cancel to avoid the £140 pa fee. It also comes with a sign-up bonus of 20,000 points (transferable to Avios at 1:1) when you spend £2,000 in the first 3 months. You can increase the sign-up bonus to 22,000 points by using this link. I recently used the Amex Gold card coupled with the BA Premium Plus card to earn enough points for 2 First Class flights from London to Sao Paulo – read my review here which includes a step-by-step guide to earning enough points for a First Class flight.